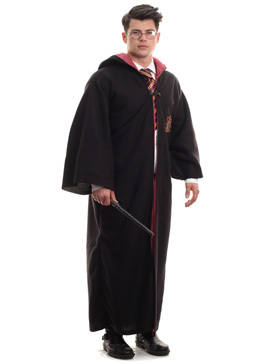 Our Harry Potter Gryffindor Robe is a simple yet effective costume for any adult Muggle. 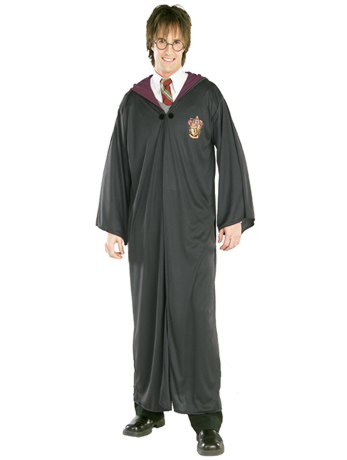 Become the world famous wizard in this adult Harry Potter Robe costume. 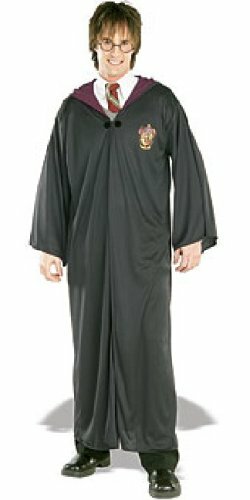 The long lightweight black robe is trimmed in the recognisable maroon shade of Gryffindor and is also decorated with a printed Gryffindor house logo on the left breast. A long hood falls down the back of the robe with maroon internal trim. The robe is fastened with a separate metal clasp making this quite a versatile size costume. This robe is perfect for World Book Day and Book Character parties.